On Day two of our weekend in Chicago, I pin curled my hair, grabbed some breakfast with Pj and headed out to meet Gina from Maddy James for a photo shoot for her autumn line. This fall and winter, Maddy James will launch their first plus sized pieces. 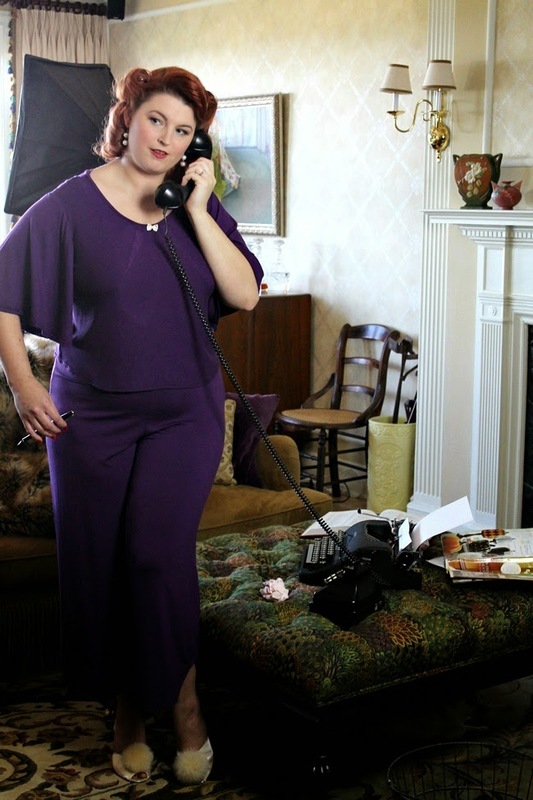 Maddy James specializes in vintage inspired lounge wear. All Maddy James pieces are designed for comfort, practicality and glamor, even when you're sleeping. My favorite thing about this line is that although the fabrics look at feel so luxurious, everything is machine washable! See me in the beautiful tap pants set here. I was able to get a few unedited behind the scenes snaps with my camera. I can't wait to see the finished photos from this shoot. The first piece that I modeled was this gorgeous black nightgown. This full length gown has full sleeves, burgundy piping under the bust and little flower accents around the neckline. The second piece that I wore is this amazing two piece pajama set. The wide-legged cropped pants made me re-think my post on not wearing pajamas at the grocery store. This set includes a matching crop top with the same style sleeves as the gown and flattering diagonal seams along the bust line. The little cream colored bow on the top matched these vintage boudoir slippers perfectly. I could live in these pajamas! 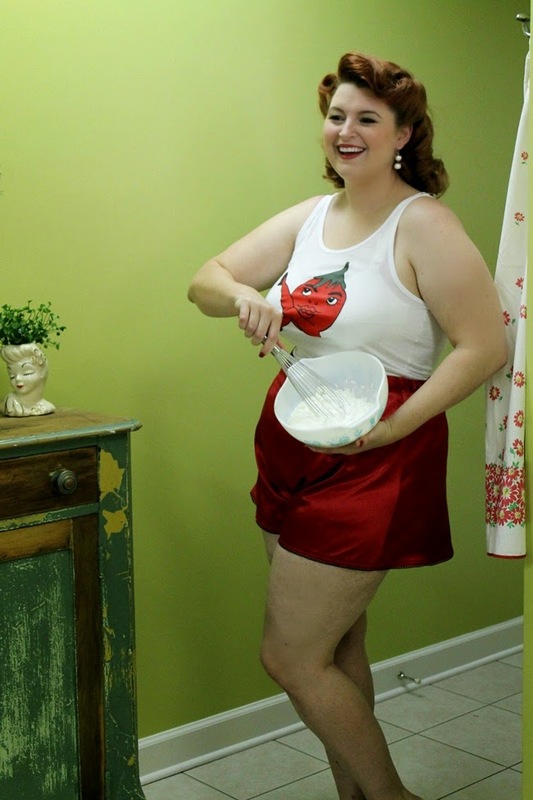 For the last set, I wore the Maddy James tap pants in red with the tomato logo tank. The Maddy James tomato was designed by Gina's daughter. Gina's grandfather always said that her grandmother was the best looking tomato in town. After the shoot, I got to get a sneak peek at prototypes from the rest of the new collection. The pieces will begin production this fall and I can't wait to share them with you! I had so much fun at the shoot, I could have stayed and played with the girls all day! Oh my! These photographs are just beautiful. I love the first nightgown, so dramatic:) You look beautiful Brittany and this line looks fabulous. How cute is that tomato outfit? So gorgeous! I love the Black gown! I can't wait to buy it! Wow! Love that black nightgown...I think I NEED it!! Your hair is lovely once again. What a fun experience!! Eeee! That tomato set is adorable! 1) Love your hair! As I type, I am dyeing my hair red. You're an inspiration! 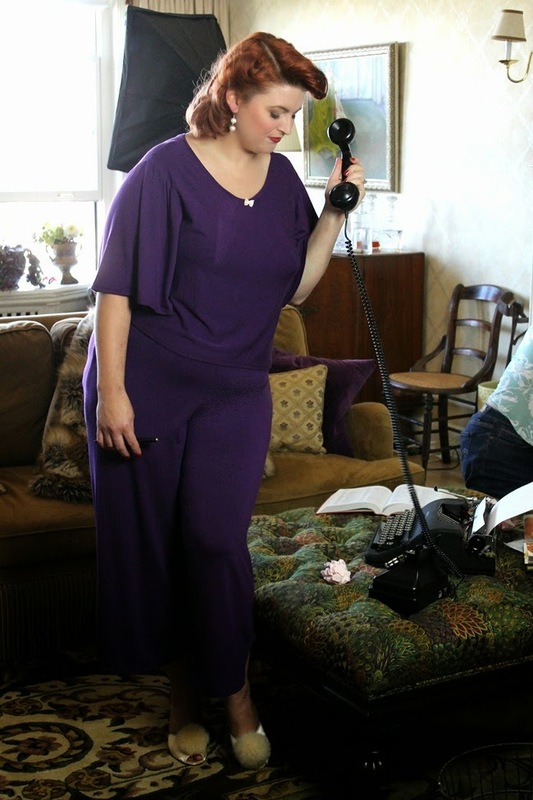 3) How fabulous is that purple set? Gorgeous! I love everything about this, and I want that nightie. You look fabulous! The nightmare is stunning, and I bet it's supper comfy too. Purple, purple PURPLE!!! Also, how cheery and adorable is that sweet tomato story? We call our daughter a beautiful bean all the time! How massively cool!!! 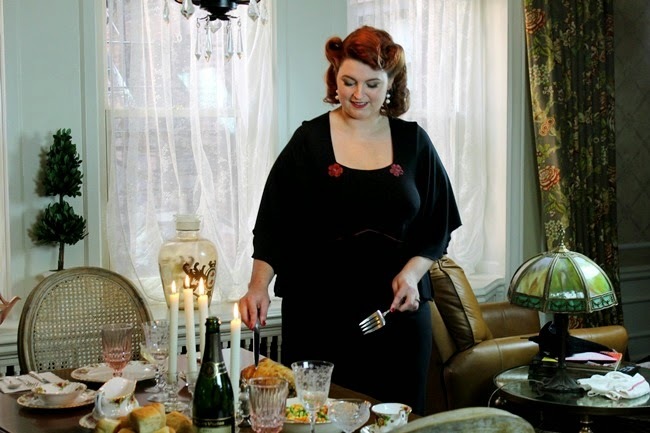 Maddy James' pajama/lounge wear offerings are incredibly chic, very well made (I have a gorgeous pair), and gorgeous. You did an awesome job of highlighting those points. What a fun, glam shoot! Oh my goodness that nightgown! *sigh* You look amazing and I can't wait to see the rest of the photos and the rest of the pieces! 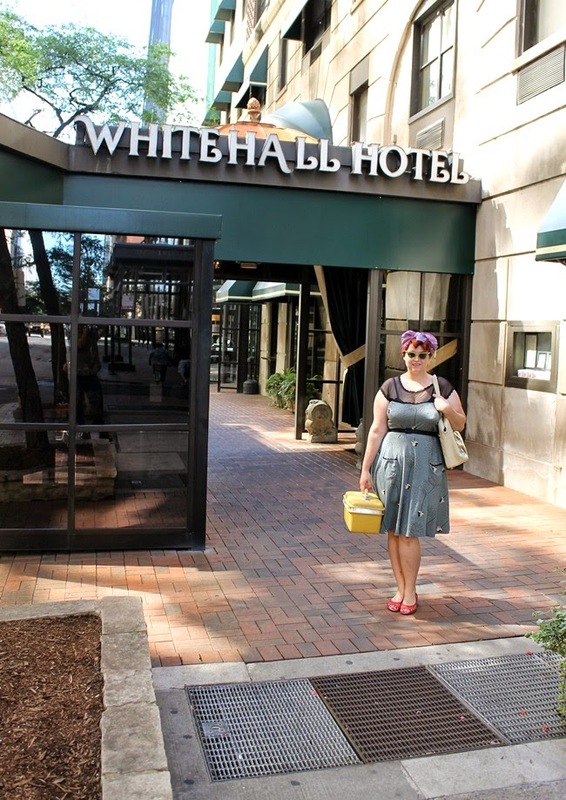 I absolutely love you're blog, and I love your sense of style! I am so jealous of your wardrobe! OMG, you are such a natural! I love those pom pom shoes in the black and the white, I think its especially fitting (in a hysterical sort of way) that they paid homage to the ads and TV shows of the past where the lady would be dressed to the nines doing domestic things like cooking and cleaning.